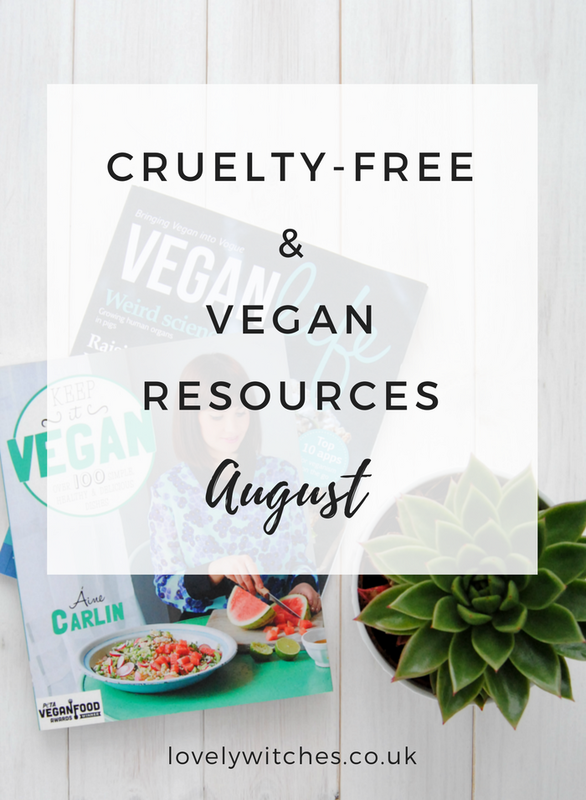 Introducing a brand new series, I wanted to put together a round up of recent posts for all things cruelty-free and vegan. I'm hoping to make it a monthly thing, so if you write a cruelty-free blog yourself then do send me your posts if you'd like the chance to be featured. There's been a lot happening in the cruelty-free community this year and although some brands have sold to testing parent companies or even begun testing on animals themselves, mostly events have been encouraging - such as Australia introducing a ban on cosmetics animal testing. So I wanted to begin a series to keep up with cruelty-free news, as well as share interesting posts about veganism and maybe some cruelty-free beauty too. Household brand Method revealed that they are now testing on daphnia. The brand along with parent company Ecover (who also test on daphnia), retain their Leaping Bunny certification. Unfortunately Leaping Bunny do not consider daphnia, invertebrates, to be animals so this doesn't look set to change. If you're looking for cruelty-free alternatives for cleaning and household products I'd recommend Astonish and Co-op. It Cosmetics sold to L'oreal, but have stated they will remain cruelty-free. If you're confused about what this means, you can read more in my post Animal Testing & Parent Companies. Whether you decide to buy from these brands or not is completely up to you. In good news, China are considering using alternatives to animal testing. Currently Chinese law requires that all cosmetics be tested on animals, so this could be a huge step forward for animal rights. Hundreds of cosmetic companies like L'oreal, Benefit and MAC would no longer be required to test on animals to sell to the Chinese market, so hopefully it goes ahead! Why you should never rely on a company's website (or social media) to tell you if they test on animals. I will always support the message of Adopt Don't Shop and absolutely agree that there's no such thing as a dangerous dog. Mica has been continuing to raise awareness for the plight of orcas in captivity, and recently collaborated with Lush to hold a Blackfish event at their Oxford Street store. They hosted a Q&A with former Seaworld trainer Jeffrey Ventre. Farplace Animal Rescue are holding the first Welsh Vegan Festival in Cardiff on September 25th. Adding to Cardiff's many vegan options is recently opened juice bar The Moos who serve lots of vegan snacks and a very delicious chai latte. It's really exciting to see the vegan community in Wales grow! If you're planning a day trip, check out Sarah's discoveries of vegan eats in Cambridge and Brighton. I love vegan 'What I Eat In A Day' posts as they always give me new ideas for quick and easy meals to make. And if you fancy going on a sunny holiday before Autumn arrives, take your pick of Vegan Friendly Mediterranean Destinations.